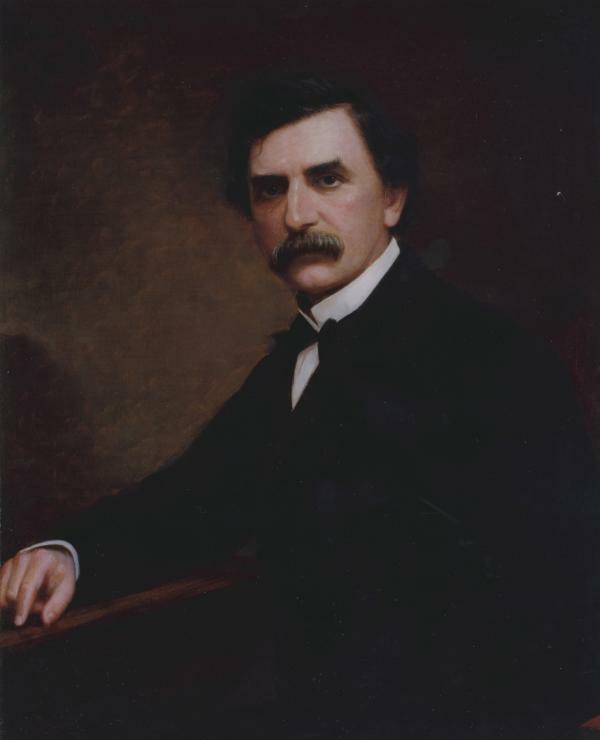 John Hartranft, Governor of Pennsylvania, 1873-1879.
Credit: Courtesy of Capitol Preservation Committee.http://cpc.state.pa.us and John Rudy Photography. http://www.johnrudy.com. A highly respected Union army general during the Civil War, John Hartranft served two terms as the governor of Pennsylvania, from 1873-1879. As governor during one of the worst economic depressions of the 1800s, Hartranft tried hard to remain an independent public servant, but was no match for the political power of Pennsylvania's railroads during a Great Railroad Strike of 1877 and the trial and execution of the Molly Maguires later that same year.